Mr. 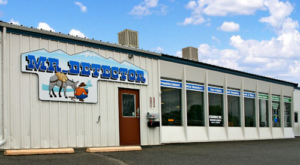 Detector has been in business for over 20 years, and recently moved to a new location. 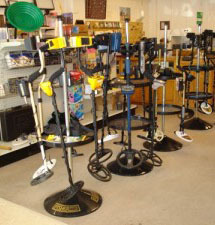 We offer Metal Detecting, Treasure Hunting and Gold Prospecting Equipment and coins and supplies for the coin collector. We are proud to have customers in 49 states. You can visit our Colorado storefront or give us a call. Mr Detector is located in a prime area of exploration that is close to a variety of mines in the San Juan Mountains just south of Montrose, Colorado, (Colorado’s “western slope.”) We have mining detection and prospecting equipment, products for metal detecting, gold prospecting, treasure hunting, rock and mineral collecting and coins and supplies for coin collectors from the novice to the serious collector. We also carry a large selection of maps and books help guide you on your adventures. We love what we do and go exploring every chance we get. Ask us about where we would recommend to go prospecting. Call or come see us today. We can outfit with everything you need, from information to the right equipment.